Let’s face it and put it out there: some really know what they’re doing when it comes to making great sewing machines. In addition, when a company began its journey somewhere in the 1860s, it’s no surprise that it gives nowadays so many high quality models and options. 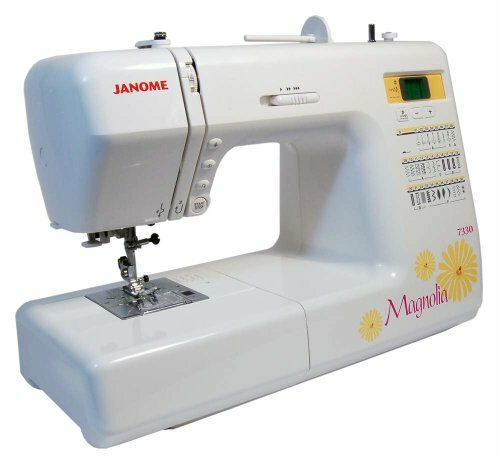 It’s the case of Janome that seems to have been found the key into designing and making good quality machines, for many types of jobs and budgets. When you go shopping for a sewing machine, it’s very likely to see many Janome embroidery machines, sergers or sewing machines. Janome stands out with the multiple functions and features on most of its models, which is the main reason for its high popularity. They are easy to use, come at fair prices and aren’t difficult to get. 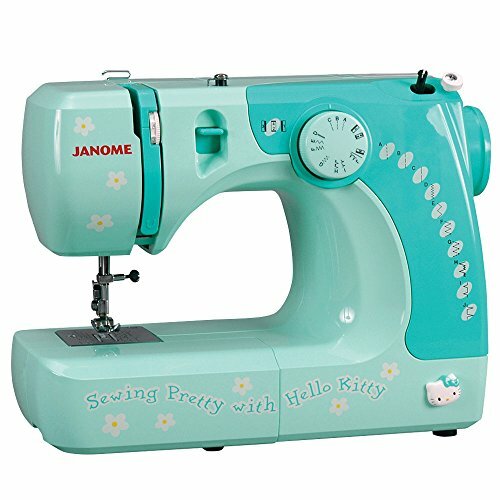 The diversity of models and prices makes it nearly impossible to decide what is the best Janome sewing machine out there, but one thing is sure: no Janome sewing machine (on any other brand for that matter) is good at anything if it’s not designed for the jobs you bought it in the first place. What’s great about Janome that you can find great quality sewing machines for a tight budget, but also you can get the high end products. You’re not gonna get a lemon in both cases, but you do need to know exactly what you need from a sewing machine. 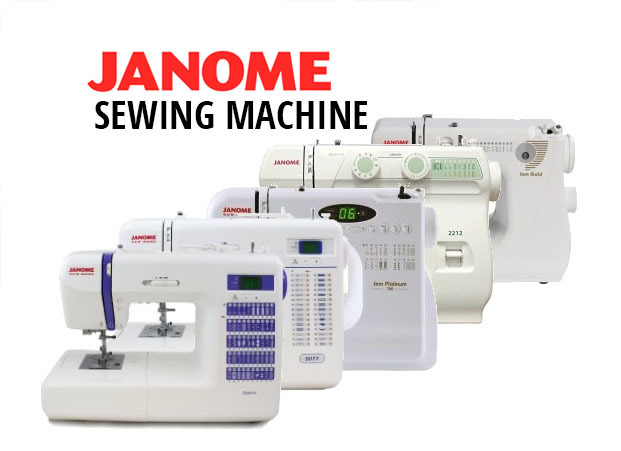 Either it’s an embroidery machine, either it’s a sewing machine that is ready to give a boost on your home business, Janome sewing machines don’t disappoint and make it as a reliable tool in so many situations. Any beginner in sewing needs a good sewing machine that is easy to use and also dependable when you are ready to step up your game. It’s the case of Janome 2212 Sewing Machine that comes with so many great features. The machine comes with 12 built-in stitches so that you may get creative on your tasks. The presser foot, the dial patter selection ease up your efforts and give you speed and efficiency on any job. The machine is versatile and you also get to adjust the stitches in length and width. The four-step buttonholes, the free arm and the drop feed encourage you to improve your skills on sewing. The list of features isn’t over and we also need to mention the drop feed and the easy bobbin winding. The bobbin case is placed in front so it’s very convenient for you. Don’t worry about storage of your sewing accessories as the removable arm features the storage tray that solves the organizing problem. Easy to setup and use, the machine also brings a small size and little weight, increasing its portability and display. It runs smooth and it’s dependable for any beginner. Cons or not, the machine remains in the spotlight with its ease of use and dependability for entry-level sewing. If you want to a heavy-duty Janome sewing machine that is ready to take the intense use and the challenging jobs, give it a go with the Janome HD3000 Heavy-Duty Sewing Machine. The machine comes with many features that ensure ability for so many types of sewing jobs and the long life span of the machine. When we go over the functional features, we notice the built-in needle threader, the reverse stitch lever and the Snap-On presser feet. It’s easy for you to use and to make adjustments on the machine, according to your specific job. The foot pressure adjustment is reliable and gives you the chance to use so many types of materials, from thin to thick ones, and even to sew multiple layers. The machine comes with almost 20 (18, to be more precise) stitches and one-step buttonhole, which means you can use the machine for so many jobs. The list of features isn’t complete yet and we also notice the high presser foot left, the push-pull bobbin winder or the free arm. The automatic bobbin winding, the thread tension adjustment, the built-in lights are also functions that count a lot on the machine. The machine is fast and runs smooth and quiet. It has a good build and a heavy-duty aluminum body that expands the life span of the machine. The minimal issues aren’t deal breakers for us and we think that you can sure try the machine if your heavy-duty sewing jobs require a new tool. 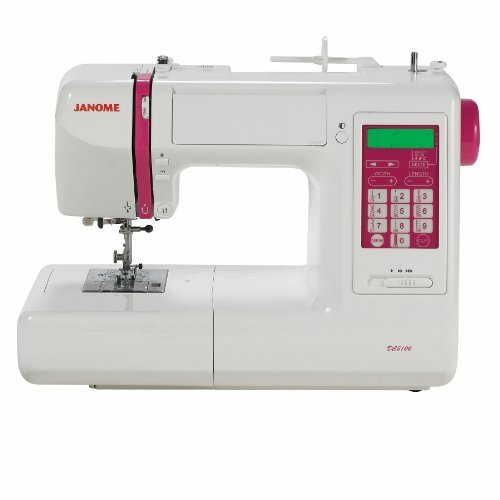 For those of you out there that would rather get a computerized sewing machine and not a mechanical one, Janome gives plenty of options in this category also. 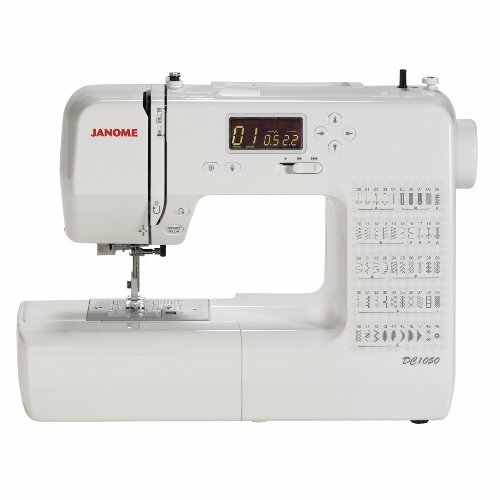 A reliable choice would be the Janome DC5100 Computerized Sewing Machine that gives you not only the simplicity of computerized machines, but also so many other good things. The computerized machine is highly versatile and may be useful for garment sewing, scrapbooking, home décor and even quilting. 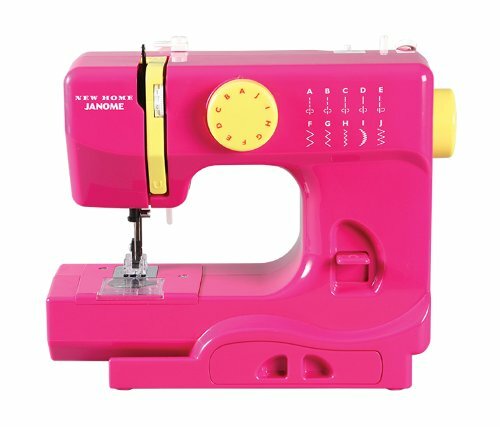 It comes with 167 built-in stitches which sure means you get plenty of styles when sewing. The built-in needle threader gives you speed on your jobs and the tension dial is manual, for better adjustment. You also get to use one of the 5 automatic one-step buttonholes or the locking stitch button. The machine is able to memorize up to 50 patterns, thus increasing its versatility. The machine comes with a backlit LCD touchscreen with touchpad. The screen is user friendly, highly responsive and with good resolution. The machine is fast and powerful. It runs very quiet though and is reliable for so many jobs. Its instruction manual is very easy to follow and to understand. 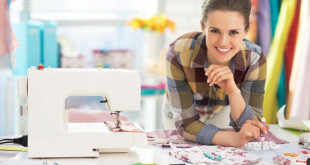 All in all, when in need for a computerized sewing machine that is able to handle so many challenging jobs, the machine is a sure investment. Paying the extra buck for a Janome sewing machine is worth it every time, especially when you’re running a small home quilting business. Getting the Janome, 1600P-QC High Speed Sewing and Quilting Machine shows not only that you really, like quilting, but also that you do have future plans on quilting a lot more. The machine sure gives you amazing speed on every job and you can have a speed sewing ranging from 800 to 1,600spm. Many features on the machine ease the use and boost your efficiency. We start with the side loading that saves you time and the industrial rotary hook that makes quilting a lot easier. We also mention the adjustable length on stitches that may go up to 6mm. When it comes to functional features, we notice the sensor that keeps machine from starting with presser foot in up position and the memorized needle up/down. Add the variable speed control and you get yourself a machine that is also great for free motion quilting. The darning plate that comes along is such a great help for free motion quilting. The machine provides a very large working area and an independent motor that lets you wind bobbins while you are sewing. The automatic thread cutter cuts top and bobbin thread at the push of a button. You may raise the presser foot without taking your hands off your work thanks to the ergonomic knee lift. 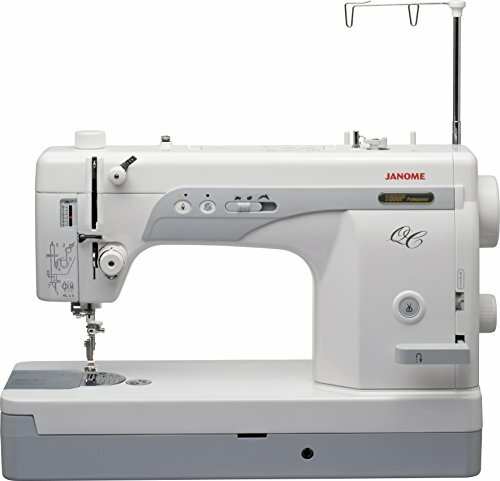 Even though it’s such a fast and dependable machine, the Janome 1600P-QC has a sleek design and runs smoothly and quiet. We try to come up with the list of cons but all we came up with it’s the reality the machine makes only straight stitches. Either than that, we fail to see any negative sides. As it’s strong, fast and so dependable for quilting, the machine makes it as a great asset for anyone in serious quilting. 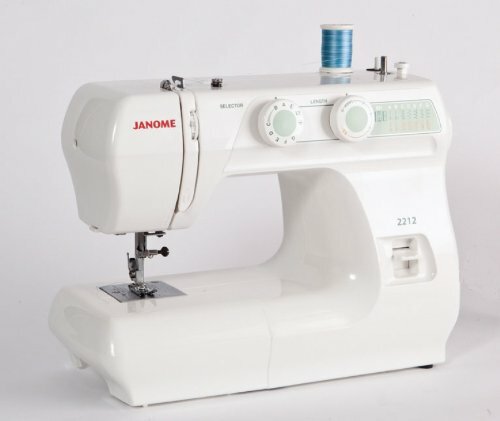 Just because you go shopping for a sewing machine for your child, it doesn’t mean you can’t make a good investment right from the beginning and get a Janome machine. The Janome Fastlane Fuchsia Basic makes a great first impression with its cute look and very cheerful color. The machine brings all the features that any kid needs when he/she just discovered the nice art of sewing. It comes with 10 built-in stitches so that your kid may get more creative after the first weeks. The zigzag, straight and crescent with two needle positions is fun to try when you get more familiar to the machine. The machine comes also with a free arm and an easy reverse, which helps your kid to repair his/her, mistakes. Moreover, if you worry about your kid getting lost through all those accessories, don’t! The machine comes also with an accessory storage, which helps your kid organize around the sewing machine. Don’t worry also about your kid losing his/her patience when threading, as the machine comes with threading diagrams and top drop-in bobbin with clear cover. The machine is safe and easy to setup and use by your kid and the presser foot has a finger guard for better protection of your kid’s fingers. The list of features also includes the four-point feed dog system, the adjustable tensions, and the high-presser foot lift. Your kid gets to set rather easy the stitches and also chose between the left and center needle position. The machine is small, lightweight and very easy to carry around by your kid. Despite the minimal issues, we still consider the machine to be a great option for your kid or any beginner who likes the fun colors. When you deal with a popular brand like Janome, settling for a certain model is challenging, to say the least. If it were to decide on a good quality sewing machine that comes for a great price, we’d go this time with the Janome 7330 Magnolia Computerized Sewing Machine with 30 Built-In Stitches. There are many things we like on the machine and the computerized stitch selection is just the most important one. The machine presents also 6 one-step sensor type buttonholes, memorized needle stop up/down and comes with 30 built-in stitches. The double lift presser foot is helpful when you work on thicker fabrics and the auto-declutch bobbin winder takes some worries away and gives you speed. The machine features also 7-piece feed dog, drop feed, built-in needle threader and an easy reverse button. We also need to mention the free arm, the locking stitch button and the Snap-On presser feet. The machine comes with all-purpose presser foot, zipper foot, satin foot and button foot. The SFS (Superior Feed System) gives you speed and efficiency and the speed control slider lets you get the right adjustments for specific jobs. The top loading full rotary hook bobbin is a nice touch on the design too. The backlit LED screen is clear and easy to navigate. The machine is easy to use and the instruction are easy to understand. The tool has a good build and is reliable. It also looks nice and is made to last. The issues aren’t deal breakers for us, and we do feel the machine is a good quality sewing machine that comes at a fair price. Everyone has his/her own standards when it comes to “cheap” and this is why a cheap Janome sewing machine may mean different prices for most of us out there. With that thought on our mind, take a closer look with us at the Janome 11706 3/4 Size Hello Kitty Sewing Machine that is able to bring many nice things, for a very low price. Don’t be fooled by its name and think the machine is dedicated to kids, as there are so many beginners out there that can take advantage of this machine. Sure, first thing that strikes you is the look and the name, but the machine doesn’t kid around when it comes to performances. As a matter of fact, this little, cute looking tool comes with eleven stitches which are great for basics jobs, and encourage your creativity just as well. When it comes to features, the differences from a heavy-duty model aren’t that big. The machine comes with free arm; 3-piece feed dog, four-step buttonhole and a high presser foot lift. The stitch selection dial is easy to operate and lets you set the right stitch for a certain job. Going farther with the features, we notice also the Snap-On presser feet, the push-pull bobbin winder, and the vertical oscillating hook bobbin. The easy tension control dial helps you get the perfect tension and the reverse lever is helpful in so many situations. Even though the machine is rather lightweight, it still has a good stability. It’s easy to carry it around, anyway. The accessory storage solves the cluster problem and the solid build ensures long life span of the machine. In addition, in case you still sit on the fence…who can resist to a Hello Kitty machine anyway? For what it’s worth, the machine brings to the table reliability, functional features and a cute look. If you are into quilting, you know that a good quilting machine may make the difference between a nice and a bad looking quilt. So don’t take any chances and get some help from the Janome MC-6300P Professional Heavy-Duty Computerized Quilting Sewing Machine. The machine is highly versatile and it comes with 66 built-in stitches and 4 buttonholes. You can easily and safely use the machine in many job applications, no matter how thick or how many layers you are sewing. The advanced feed mechanism helps you when working the thickest materials. When it comes to ease of use, the machine delivers also as it features knee lift and drop feed control also. The LED display areas is responsive, clear and easy to understand. It display plenty of useful information like low bobbin indicator light and twin needle guard. The automatic thread cutter gives your work nice finishes. The machine is very fast and is able to sew 1,000 stitches per minute. The 9”x5” throat space is large enough for easier working on the large quilts. The machine comes with 5 various blanket stitches for applique and a hand-look stitch. The “turtle” speed is of great use when working in the tight spots and the machine is great for free motion quilting just as well. The machine has a good size and features programmable memory recall. The instruction that come along are easy to follow and the machine is easy to use. The setup isn’t difficult and the machine has a long lasting build. It runs quiet and is really dependable. Never mind the minimal issues though as, when you take a look at all the rest, you see a reliable and versatile Janome quilting machine. If sewing got you and you feel like you want to commit more, get yourself a reliable sewing machine from Janome that teaches you the first steps and prepares you for the more challenging jobs in the future. 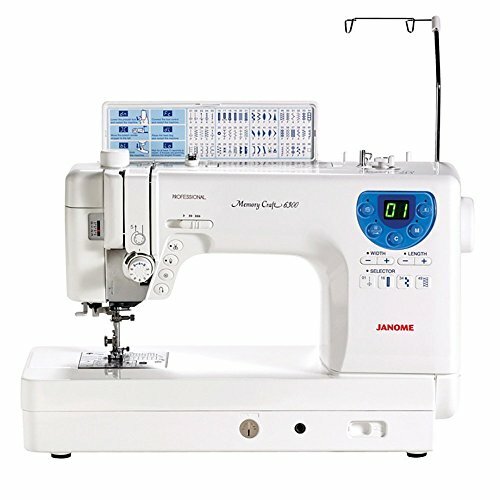 The Janome HD1000 Mechanical Sewing Machine gives you a very solid build and plenty of features that are easy to use. The machine is dependable and gets you through versatile jobs. The machine stands out with its heavy-duty aluminum body, which means it’s build to take the intense use, no matter the type of task. The machine comes with 15 stitches and a four-step buttonhole and this helps you try so many types of fabrics and jobs. It gets through leather and is able to sew several layers of materials just as well. On the list of features, we also find the built-in needle threader and the storage tray to organize your accessories. The front load bobbin may look new to you, but you get to see it’s more comfortable like that. The stitching looks great and consistent every time. The machine also presents free arm, drop feed, build-in needle threader, 3-piece feed dog, reverse stitch lever and vertical push-in bobbin. You get to use exactly the stitch you need for a job with the stitch selection dial and set the tension manually. The high presser foot left is useful in many situations. The machine is easy to use and runs quiet. It has a great build and is highly portable. The cons aren’t major issues for us and we think the machine makes it as a great option when you are at the very beginning of sewing. 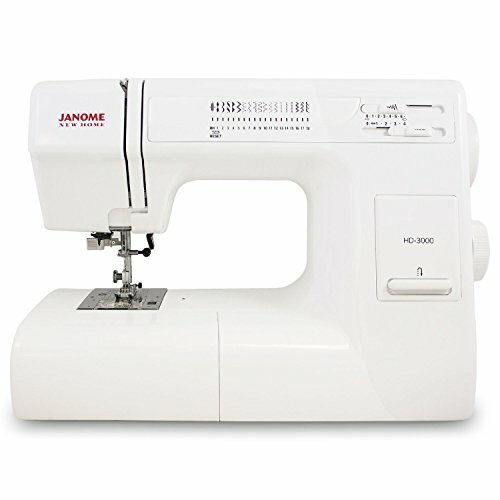 For those of you who are way passed the simple sewing and stepped out their game and are able to try also some dress making, the Janome DC1050 Computerized Sewing Machine is definitely a tool to get. The machine is computerized and comes with so many features that sustain many types of projects, from dressmaking and scrapbooking, to even quilting. The main reason for this ability is the 50 built-in stitches and the three automatic one-step buttonholes. The memorized needle up/down, the speed control slide, the start/stop button help you on larger projects, including dressmaking. The list of functions also includes the manual tension control, the one-hand needle threader, the slide-on presser feet and the 7-piece feed dog. We can’t overlook the locking stitch button, the easy reverse button and the auto-declutch bobbin winder that solves any bobbin problems on the go. The machine features a jam-proof horizontal full rotary bobbin and a high presser foot lift. The satin stitch foot, the zigzag foot, the zipper foot simply add up to the value of the machine. The LCD screen is clear, responsive and quite user friendly with a menu easy to go through. The machine runs smooth and quiet and gives nice stitches every time. It’s easy enough to use by a beginner also and the fancy stitches make it a nice option for dressmaking. The machine is small and lightweight and a table increases its sewing setup. Nevertheless, all things considered, we definitely think the machine is a great choice when you want to make some dresses or even do quilting.